Despite the fact that Iran has already embarked on a quest to “annexe” both Iraq and Syria through stealth, and is flexing its hegemonic muscles in Yemen; apart from Donald Trump, most Western leaders are doing their utmost to keep the Iran deal in place. 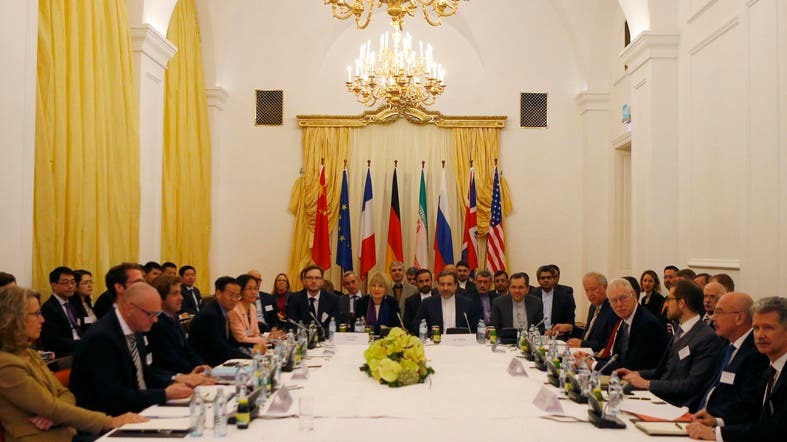 According to its supporters, this agreement has supposedly curtailed the Iranian regime’s nuclear program, preventing it from developing a nuclear weapon, and becoming a threat to world peace. While this might be perceived by many to be a good solution to rein in Iran’s nuclear program, it can only work as a short-term fix, one that will merely freeze, but not end its nuclear ambitions. But as far as its extraterritorial aims are concerned, the Iran deal will certainly not curtail the regime’s interference in the affairs of neighbouring countries, a meddling which is already becoming a threat to both peace and stability in the region, the deal will in fact help to fund this. 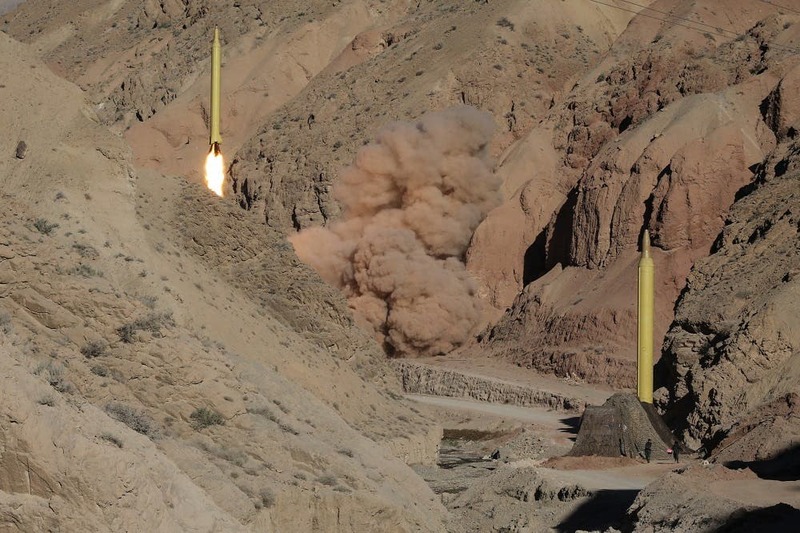 As far as the Iranian regime is concerned, the deal has given it a breathing space, one with which to give its military the time it needs to work tirelessly towards a long-term project, which is to develop a nuclear-capable ICBM (intercontinental ballistic missile), with the ability to strike the eastern seaboard of the United States. As far as this project is concerned, on the day that North Korea claimed it had successfully tested an ICBM capable of reaching the US, Iran announced it was bolstering ties with Pyongyang, which leads to speculation that such a move could bring Iran closer to its goal of acquiring a missile that could reach American shores. When it comes to miniaturizing a nuclear warhead with which to mount on such a missile, for years Iran has been sharing clandestine nuclear technology with North Korea, and with North Korea now having the expertise to fit such a device, there is always the chance that its rabidly anti-Western leader Kim Jong-Un, will eventually share such technology with Iran in the same way as missile technology has been shared over the years. At the time of signing up for the deal, Iran’s main objective for entering the agreement, was to dupe the Obama administration into returning billions of dollars, which had been impounded due to its continual pursuance of illicit nuclear activity. Through its participation in the deal, the Iranian leadership was also eager to tempt foreign investors into making lucrative trade deals, some of which have already brought about a much more prosperous Iran. But none of this money has reached the general populace, rather than alleviate the poverty of its own people. At the same time, the regime has been strengthening its internal defences, through creating its own long-range missile defence system, the Bavar 373, to protect vital installations from attack from the air. But already installed is the S-300 air defence systems, supplied by the Russians, which are capable of targeting aircraft at high altitude from up to a 150-mile range, allowing them to create a formidable ring of defence around any nuclear facility, or other sensitive military establishment, which makes it almost impossible for an enemy to target such facilities without a substantial loss of aircraft. Khomeini’s concept of government came through the rule of clerics, a religious despotism with no democratic accountability whatsoever, where the people would have no choice but to give in to the will of the ruling mullahs, whose Supreme Leader had the last say on all forms of governance, and any president “chosen” by the people, was unable to make a move without the Supreme Leader’s say-so. Throughout his term as Iran’s Supreme Leader, Ali Khamenei has advocated pursuing a doctrine of hegemonic control against the Islamic and Arab world, with his ultimate goal being to gain control of all of the Gulf states, and through Iran becoming a super power in the area, force the United States to retreat from the Middle East, defeated by Iran’s use of asymmetric (unconventional) warfare and terrorist proxies. For decades, Iranian training camps have been preparing foreign fighters to carry out proxy acts of terror on behalf of the regime, and with the advent of the Syrian Uprising, many of these trainees have been put to good use as combat troops, cannon fodder fighting alongside the depleted Syrian army, aiding the survival of Bashar al-Assad. While in neighbouring Iraq, with Iran’s Qods Force reforming Shiite groups that had been disbanded after the pull-out of American troops, the IRGC Quds Force has developed a new form of waging war through the use of foreign mercenaries, which saves their own army large body counts, much of this now paid for from cash returned from the Iran deal. The idea behind this move is quite simple, as by using IRGC Quds Force officers, and a number of their non-commissioned officers to lead this mixed bag of paramilitary groups, the IRGC doesn’t have to rely on its own enlisted troops, and by doing so, are able to boost the size of fighting units, using foot soldiers from Hezbollah, and various Iraqi, Syrian and other foreign Shiite militia groups from far afield. All of this slaughter is being subsidised by cash from the Iran deal, all ignored by European governments, who have been sending trade delegations to Tehran, putting together lucrative deals that will swell the bank accounts of these rich nations, while the Iranian military and its proxies rampage across neighbouring lands, using money acquired from these transactions, to pay for the bullets, shells and bombs that are aiding its bid for hegemonic control of the Middle East. As far as Iran’s nuclear program is concerned, it is only stalled under the Iran deal, and with Donald Trump now threatening to renegotiate the deal, should this happen, the Iranians could resume enriching their stockpile of uranium to 20 percent, which would take it to weapon’s grade. 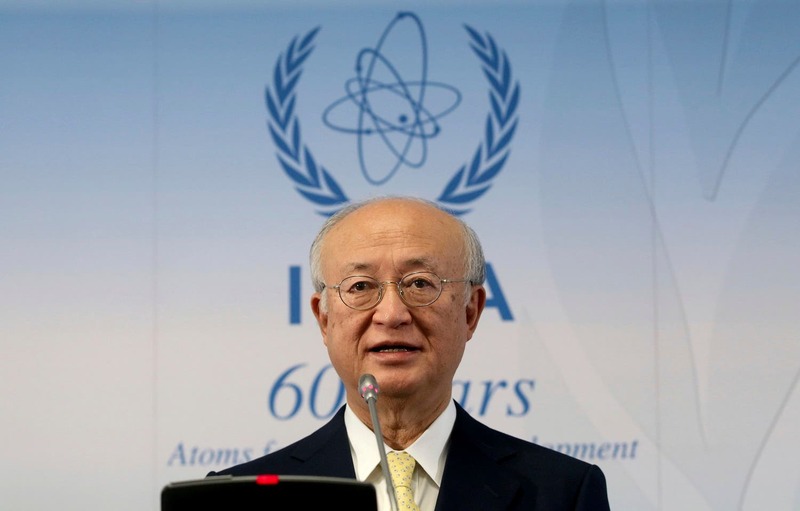 As stated by Ali Akbar Salehi, the head of Iran’s Atomic Energy Organization, when commenting on Donald Trump’s threat; it would be possible for Iran to produce 20 percent enriched uranium at its Fordo plant, within four days of the nuclear deal collapsing. Then once the regime acquires a nuclear weapon, it doesn’t necessarily have to use it, all it has to do is flaunt the fact of acquiring one in front of its neighbours, using the weapon as a large stick with which to threaten or coerce them into doing its bidding.